No, you can't. And the sooner you learn to accept that, the better off you'll be. Everyone will have opinions and entitlements, but if you're considering a guest list of over five people, it's very unlikely you will be able to satisfy everyone. Remember that first and foremost, your wedding is about you and your fiancé. When it's all said and done, you want to be sure that the memories from your big day look exactly as you two had envisioned. Your families may have gotten along well while you were dating, but engagements make everything much more serious. When your families realize that they're about to be forever tied to one another, they may feel the need to finally voice any misgivings they may have had about the arrangement. This doesn't mean you should cancel the wedding, but you should take the opportunity to address these issues openly and honestly. Make sure you're fully aware of your relationship and its accompanying dynamics before you tie the knot. 3. The wedding has to be perfect! Take a deep breath! Of course you want your wedding to be perfect, but your marriage will not be a reflection of your wedding ceremony. We tend to put a lot of emphasis on the wedding and save worrying about the marriage for later. Ultimately, your wedding is just one day, whereas your marriage will hopefully last a lifetime. As you take care of all of the wedding plans and preparations, remember to set aside some time to strengthen your relationship with your fiancé. 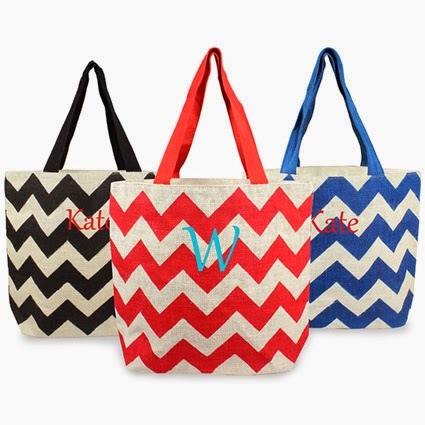 Thank your bridesmaids with these adorable chevron tote bags! 4. How do I decide who to have in my bridal party? There are a couple steps to deciding who to have in your bridal party. First, determine who is non-negotiable, such as sisters or sister-in-laws. Second, look critically at the personalities of the women you are considering. If one of them tends to be a little self-absorbed in everyday life, there is no reason to believe she won't be self-absorbed at the wedding. You want to pick the girls who will stand beside your decisions no matter what and will add to the excitement of your big day. Some people say a good ratio is one bridesmaid for every fifty wedding guests, but how many people you choose is really up to you. Remember that more bridesmaids could mean more people to help you with the preparations, but that it could also mean more conflicting opinions. 5. Where do I even begin with the guest list? 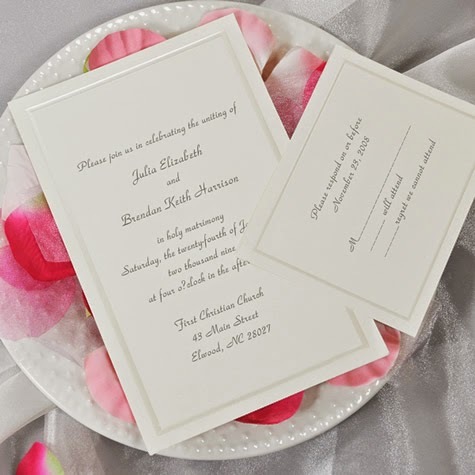 Wow your guests with these fabulous DIY invitations! 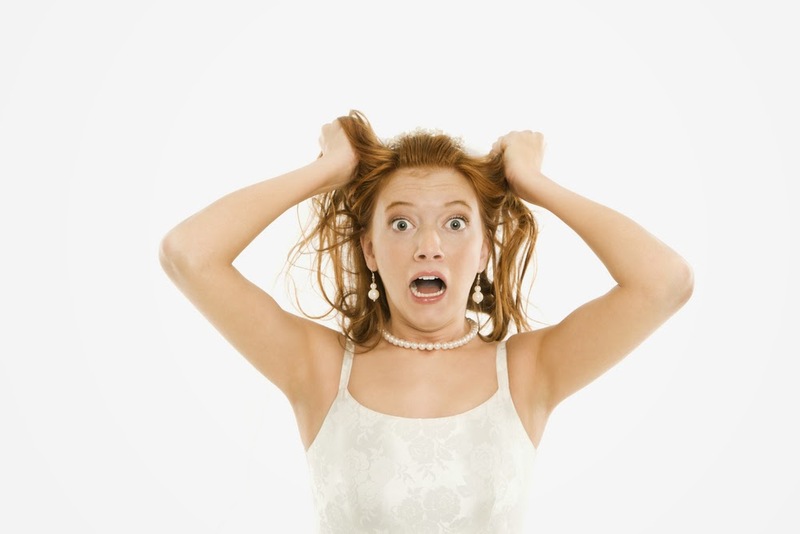 Nailing down a guest list is unquestionably one of the most stressful aspects to planning a wedding. First and foremost, you and your fiancé need to decide roughly how many people you want to have at your wedding and if you want children there. After that, you can get feedback from your parents. Remember there are some factors that will cause the number of people that actually attend your wedding to drop, such as holding the wedding on a week night or near a holiday. Make sure you communicate your guest list plans with key people (such as your parents) sooner rather than later. Your mom's friends may be getting daily updates on the wedding planning, and if you don't tell her otherwise, these friends may have the day already booked on their calendars before you even finalize your guest list. 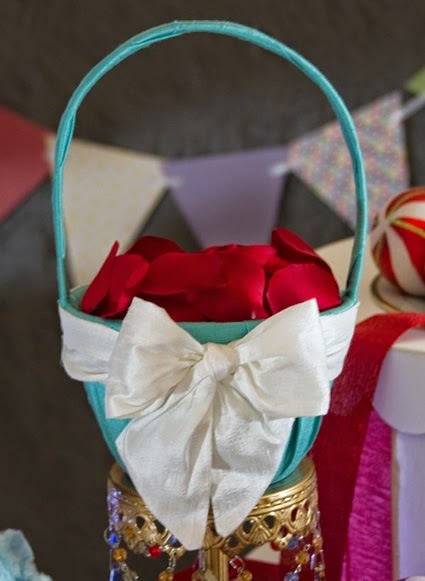 Make sure your flower girl has the cutest basket around! 6. What if something goes wrong during the ceremony? While you can't guarantee that everything will go exactly as planned during the ceremony, having a rehearsal can help alleviate a lot of the stress. Do a thorough walk-through the day before and treat it exactly as you will treat the real day. Does your photographer know exactly where you will walk and where you will stand? How will the flower girl or ring bearer know when to start walking? Where will the rings be kept before the ceremony? Assign someone to make sure the wedding party is ready and in the correct order about ten minutes before the ceremony is scheduled to begin - you don't want to be hunting people down at the last minute! 7. Wait, that means I have to plan a rehearsal dinner, too? No, you GET to plan a rehearsal dinner! Try not to stress out about this one. The actual rehearsal is only for you and your groom, the bridal party, and your parents. The dinner afterwards is designed for you and your fiancé to relax and visit with whomever you want to invite! This is a great opportunity to visit with friends or out of town guests, since you won't be as busy or distracted as you probably will be during the actual reception. Traditionally, the groom's parents pay for this event, and honestly, anything goes. It's up to you and your groom whether you want to have the dinner in an upscale Italian restaurant, in your home, or even in a bowling alley! Relax, have a good time with your guests, and let the families get to know each other. 8. If my mother funds the wedding, do I have to do everything she says? Traditionally, the bride's parents fund the wedding, and it is not uncommon for mothers to want to be intricately involved in their daughters' planning process. The problems arise when Mom feels like she has the right to override her daughter's wishes because her dollars are at stake. If you think your mother (or the groom's mother, for that matter) might have these tendencies, you should look critically at how much financial help you really need. What are you and your fiancé able to contribute? How expensive is your wedding really going to be? Try to determine a set budget before beginning the planning process. Once you have a maximum amount you know you can spend, you can prioritize as you plan. If everyone can be on the same page from the beginning, you're much more likely to be able to enjoy one another while you plan everything!